Over time, caring for an elderly individual can lead to immense amounts of stress – both physically and emotionally, which can lead to caregiver burnout. Caregiving is an essential task often used once a senior reaches a point where he or she cannot perform day-to-day activities and requires a helping hand. While a rewarding task, it’s also a stressful one as well. And we all know how built-up stress can indefinitely affect anyone’s physical and emotional health. How Can We Recognize It? Mental and emotional exhaustion can be portrayed in a variety of ways. There are even times where caregivers will exhibit early signs of caregiver burnout without even knowing it. This is a dangerous route that may lead to signs such as: a change in personality, mood swings, and even loss of weight. Early signs range anywhere from irritable behavior to a drastic change in appetite. Generally speaking, if a caregiver feels too weak and unmotivated to even get out of bed in the morning, it could pose a huge threat to his or her wellbeing. Needless to say, it must be addressed quickly. One of the major contributors to “caregiver burnout” is feeling powerless, especially when a caregiver is stuck in a role where he or she is trapped in a helpless situation. How can you fight this feeling? Know that you are not powerless. Maintaining a positive state of mind by feeling empowered knowing that you’re providing both optimism and hope to the patient can counter the negativity of any resentments or burdens that are holding you back. You have complete control, and a conscious choice to provide care to the person you’re looking after. Deep, meaningful motivations can help push you through the most difficult of times. Focus on the aspects of life that you can control. Trying to wish away cancer or crossing your fingers in hopes that someone will help you with a difficult client won’t solve any problems but will instead garner a heap of stress instead. Rather than losing hope and stressing over these things that you can’t control, focus on what you can by staying proactive and pushing through adversity. While it’s nice to receive external validation for your efforts, don’t depend on this to determine your worth as a caregiver. There are various ways that you can acknowledge and reward yourself for your efforts. Always remind yourself of the good that you are doing – you can even go as far as writing down what positive impacts you’re making on a senior individual and refer back to it when you’re feeling low. Caregivers tend to dwell on the negatives when things start to get rough – hence the reason why caregiver burnout is such an issue in today’s home care industry. If you start feeling discouraged or unmotivated, remind yourself that every action that you make matters – whether you see it or not. You don’t have to completely cure your client’s illness to make a significant difference in his or her life. Rather, why not emphasize other aspects of caregiving like keeping your client safe, comfortable, and loved. Sometimes, the small victories can remind you that you are making a difference in someone’s life – and it could resonate to other aspects of your life as well. Studies show that caregivers that feel appreciated experience greater emotional and physical health. Despite the demands of the job itself, it’s difficult to give yourself a pat on the back, especially when you’re feeling little to no sense of accomplishment. Just remind yourself that if the senior you’re currently looking after wasn’t preoccupied with an illness like dementia for example, he or she would express gratitude if they were able. Never choose to neglect your health and wellbeing. While your priorities may be on the elderly individual that you are caring for, you’re only as good as what your body can exert. Think of your body as a vehicle. Proper maintenance and care will ensure that it runs reliably and well. By neglecting it, you’ll start running into trouble and it’ll eventually break down in the long run – relatively self-explanatory to say the least and loops back around to hitting the caregiver burnout wall. Exercising is one way to relieve stress and even boost your mood. It’s pretty obvious that when you’re tired and stressed, the last thing you’ll want to do is hop on that treadmill and go for a 3-mile run. However, aim for a minimum of 30 minutes on certain days – you can even break it up into two 15-minute sessions if it’s easier. By exercising regularly, you’ll find that your energy levels become boosted and will help you fight the ongoing battle of fatigue. Another counterproductive choice that many caregivers make is cutting back on time in bed. 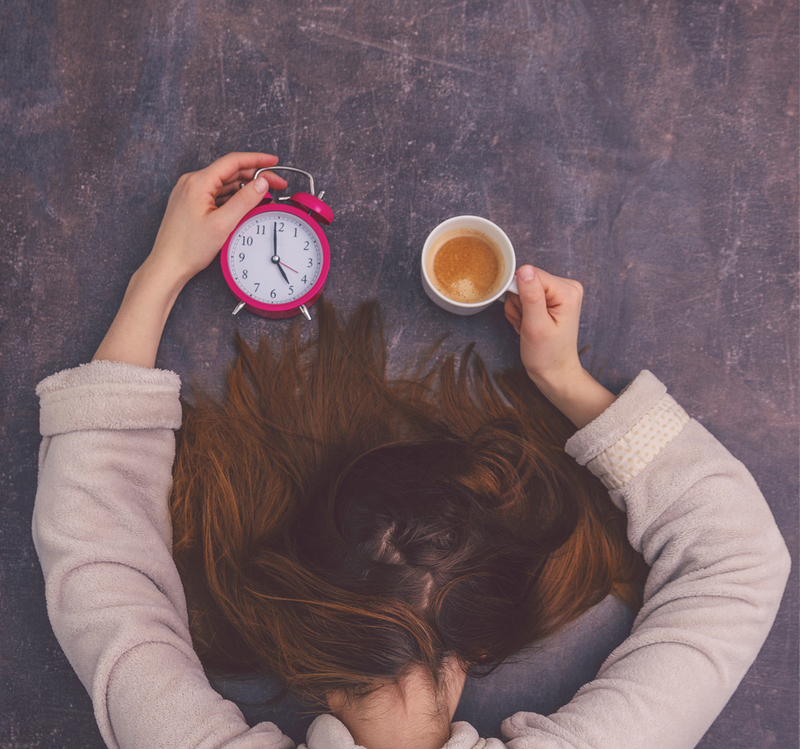 People need more sleep than they think they do – with eight hours being ideal – and decreasing this time will affect your mood, energy, and productivity. How are you going to look after a senior that’s suffering from Alzheimer’s Disease for your entire shift when you’re only running on a few hours of solid sleep? Again, it’s counterproductive and should be adjusted accordingly. As a caregiver, it may seem like taking time for leisurely activities is out of the question, but you owe it to yourself to include it within your schedule. Give yourself the time to destress by hanging out with end up as a better caregiver for it. A-1 Home Care Agency, a 25+ year veteran in the in-home care industry, can provide you and your family with a wide array of caregiving services. As a seasoned agency, we understand how caregiver burnout affects a large portion of today’s caregiving workforce, which is why we keep a close eye on each of our caregiver’s health and wellbeing. We want nothing but the best for our clients, and one can only achieve this by sending out caregivers that are physically, emotionally, and mentally prepared for the task at hand.